There’s nothing quite so exciting as seeing the word “vegan” when you’re hungry, is there? We arrived in Venice Mestre train station in the late afternoon, dumped our stuff at our airbnb and set a route for La Tecia Vegana ready for its 6pm opening time. We walked from Piazzale Roma, where the tram drops you off, and it was a really charming walk. 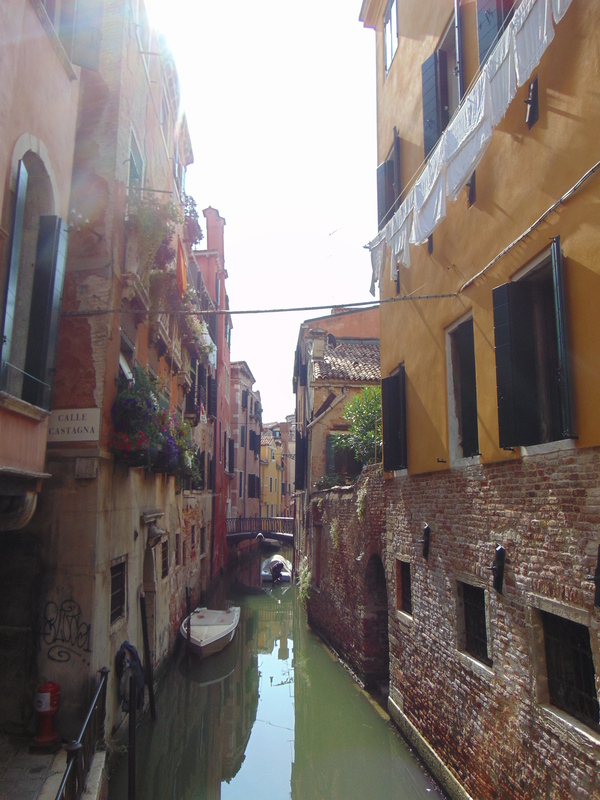 I kept warning Dr HH that he would hate Venice as much as I did because it was so crowded and dirty – I’d only ever visited on day trips before, and had spent my few hours right in the thick of it. 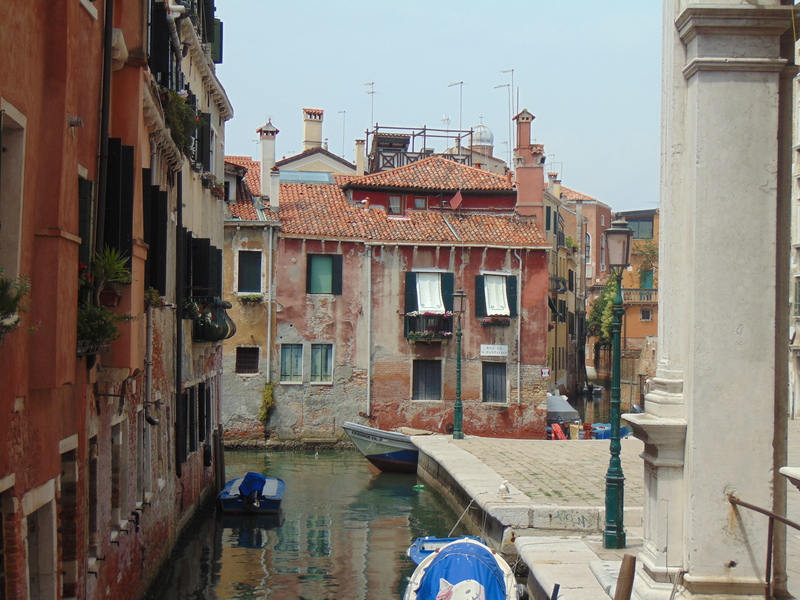 So this little walk was my first time seeing the more charming side of Venice: small alleys, little canals, not too many people. I loved it! I didn’t stop for any photos though, because I was hungry. Fortunately I didn’t have long to wait for food! Although it opens at 6pm, we were the only customers till 7pm (though they did have a few takeaway customers in that time). 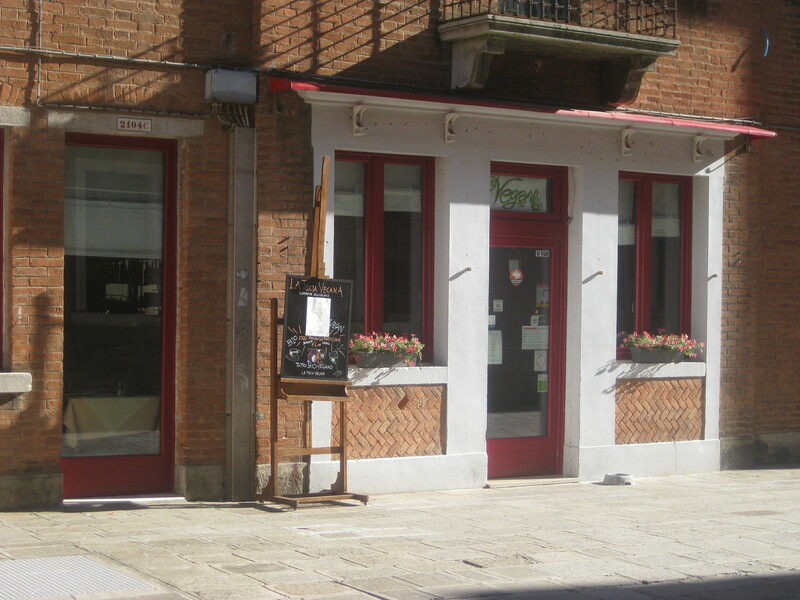 The menu covers the standard Italian elements: antipasti, primi, secondi, sides and desserts, all priced at around €6 each. 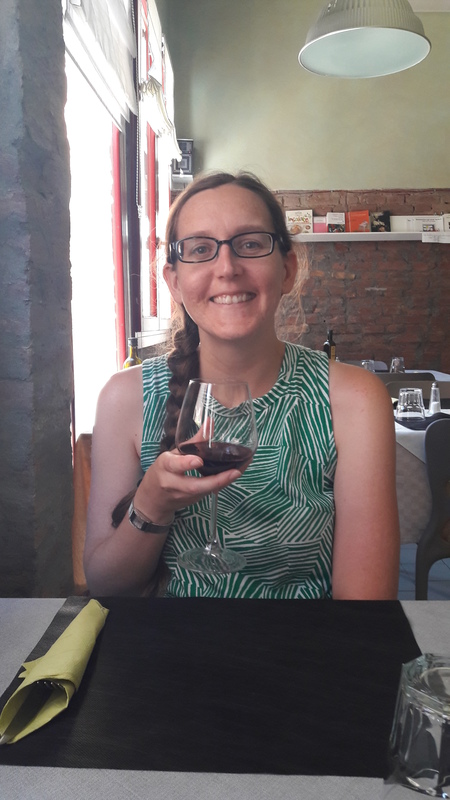 Also, they serve vegan wine by the glass, which I so far hadn’t spotted for our whole time in Italy. Finally! I was very happy indeed. On to the food! 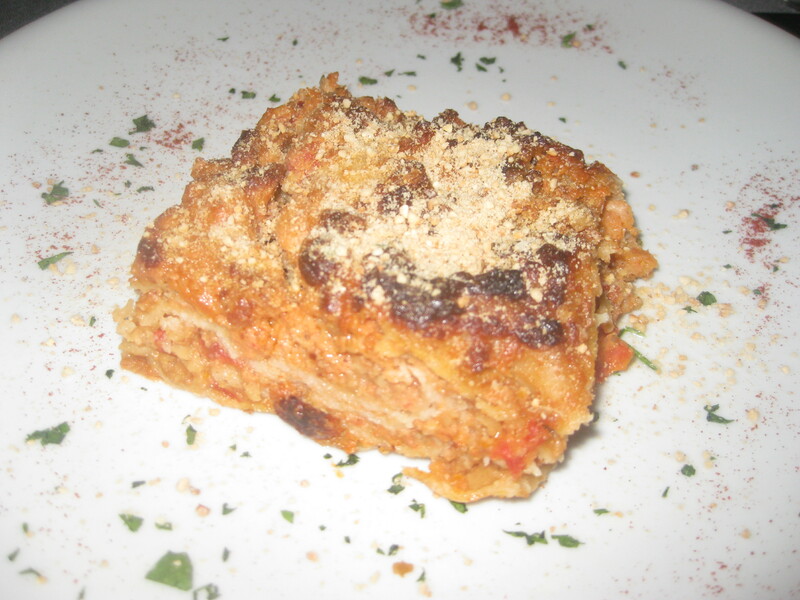 I ordered the lasagne from the primi section, so of course it was a little small. It packed a lot of flavour in there though! 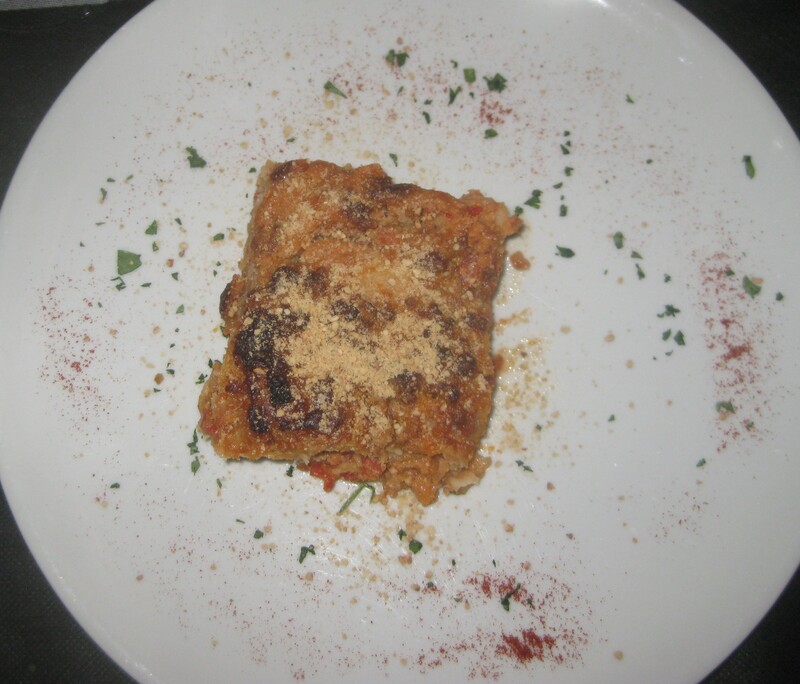 The seitan ragu was really nice, and the texture on top was just perfect. I’d happily order this again. 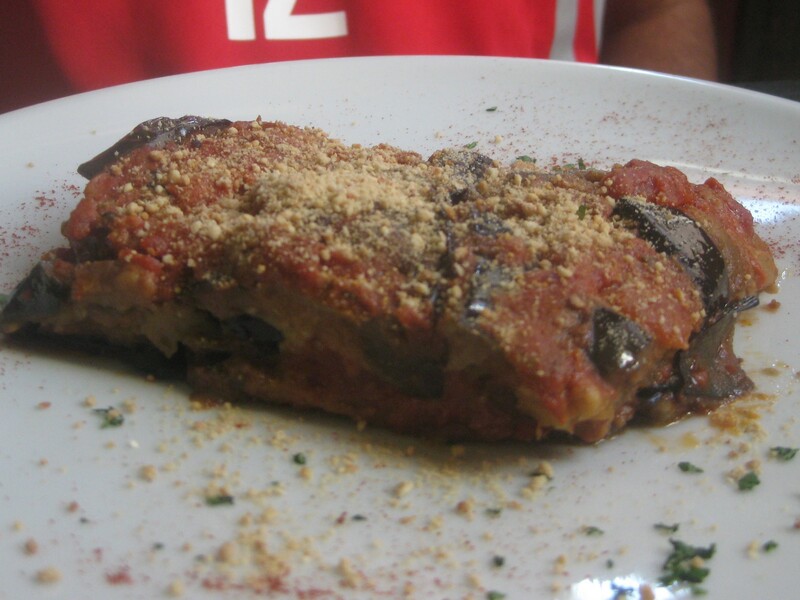 Dr HH ordered from the secondi section, so he got a bigger helping of parmigiana. It was his first ever ‘parmo’, and he raved about it – the smoky aubergine, the bits of potato, the cheese. A very satisfied customer! 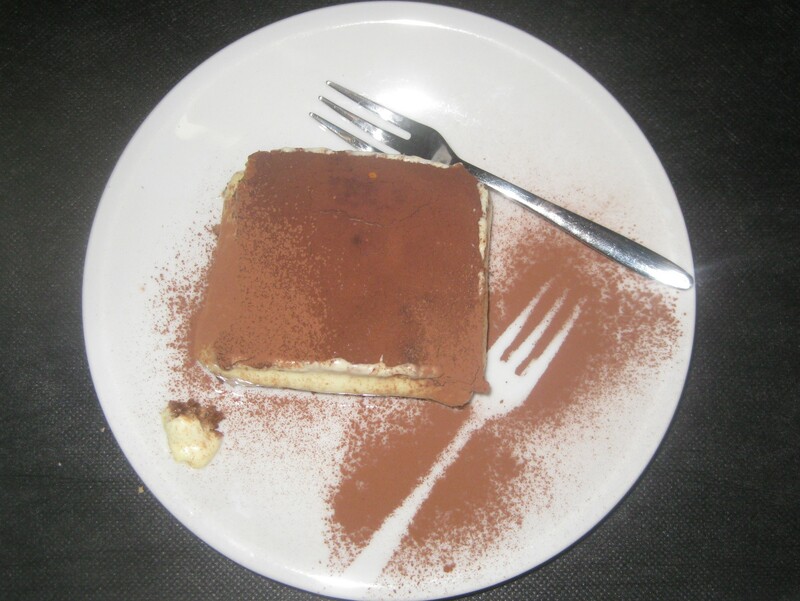 He also couldn’t resist a portion of tiramisu (I held out for ice cream later in the evening), which he found very good and creamy, though not as creamy as at La Lanterna in Verona a few days earlier! All in all, we were very satisfied with our first culinary experience in Venice. Service was super friendly and fast too. Once it hit 7pm quite a few people arrived, and there were already several tables reserved, so I’d strongly recommend either booking in advance or arriving early. And I’d also recommend wandering the alleys and bridges away from the tourist drag. It’s so quiet and charming, you won’t want to return to the chaos of St Mark’s Square ever again! 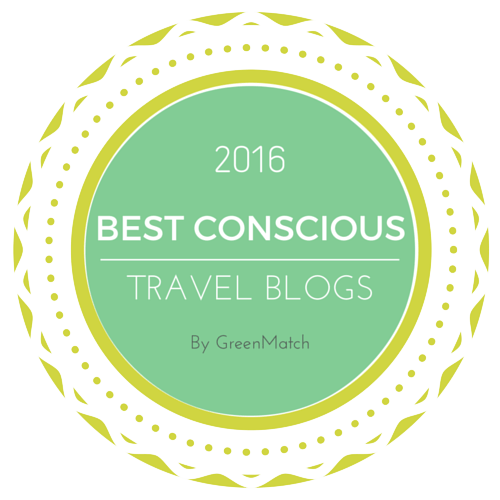 This entry was posted in Travel, Vegan Mofo and tagged La Tecia Vegana Venice, vegan Italy, vegan travel, vegan Venice, veganmofo, vgnmf17. Bookmark the permalink. Would love to go back one day. Was there 30 years ago on a school holiday…. I bet it’s changed a lot with the increased number of tourists over that time. And probably more vegan restaurants now too! I think that is the biggest smile I’ve seem on the blog. XD I am not a huge wine fan, but I think I would have to have at least ONE glass in Italy! I’m definitely not a big boozer, but this was long overdue!